Summary THE FOREST is a supernatural horror film in which a woman travels from America to Japan to search for her twin sister who is missing in the Aokigahara Forest - a notorious suicide site associated with demons. 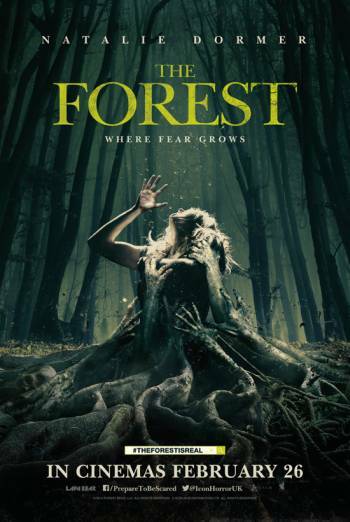 THE FOREST is a supernatural horror film in which a woman travels from America to Japan to search for her twin sister who is missing in the Aokigahara Forest - a notorious suicide site associated with demons. There are several jump moments and scenes of strong supernatural and psychological threat. More often that not these feature scary ghosts and ghouls in the Aokigahara Forest. Infrequent strong injury detail includes bloody injuries to a character's hand and wrist. Other issues include moderate violence and references to suicide.